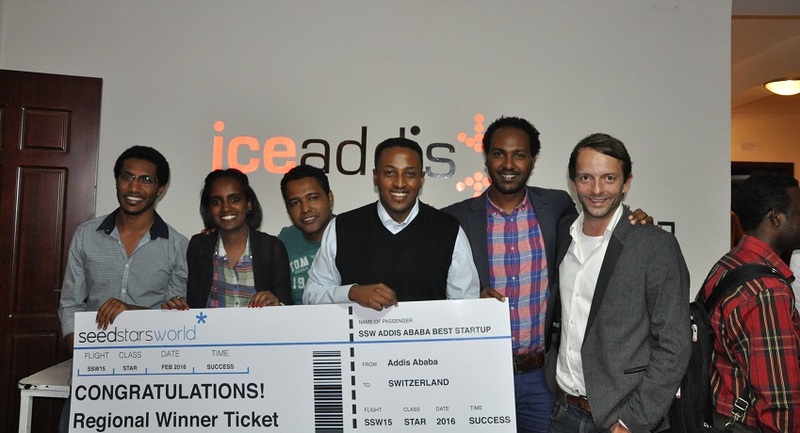 Software development startup AhadooTec won the Ethiopian leg of the Seedstars World competition in Addis Ababa yesterday for Fidel, its e-learning and school management system. AhadooTec will now progress to the global Seedstars World final in Geneva, Switzerland next year to compete for up to US$500,000 in equity investment. The Ethiopian leg – which came after African heats already took place in Mozambique, South Africa, Nigeria, Ghana, Ivory Coast,Rwanda, Uganda and Kenya – was hosted at iceaddis. AhadooTec was named the regional winner, with Fidel recognised for its new approach to managing schools and learning. Founder Eskinder Mamo said the team was excited to have won, and that it was a great motivation for the team to keep on working towards its vision. Winsol Green Power Engineering, with its solar charger for mobile phones and homes, came second, while Locally, a platform to help people discover local businesses, came third. The event saw 11 startups pitch in front of a jury including Etalem Engeda, chief executive officer (CEO) of the UNDP Entrepreneurship Development Centre, and Marcello Schermer, regional manager for Africa at Seedstars World. Seedstars Addis Ababa also featured speaker Anne-Beatrice Bullinger from the Swiss Embassy in Ethiopia, who opened the event and welcomed all the guests. The local ambassador of Seedstars World Markos Lemma, co-founder of iceaddis, organised the event with Seedstars World’s local partners. The next stop on the Seedstars World tour is Luanda, Angola on October 28.